Our VA SEVEN® MAMBA Racks offers you the functionality of an entire gym on just 5 square metres. With the different attachments they offer all important safety features, such as a Monolift, Weightlifting Platform, Safety Bars and Safety Spotter Arms. Innovative attachments such as the Hammer Arms or Adjustable Dip Bar offer unlimited workout options. With a footprint of only 120 x 60 cm the Half Rack is the smallest MAMBA and ideally suited for Home Gyms, PT-Studios or Functional Training areas in gyms. Every gym that’s serious about lifting heavy weights needs a Power Rack. Attachments such as the Safety Bars and Iso-Pins allow for maximum workout efficiency. 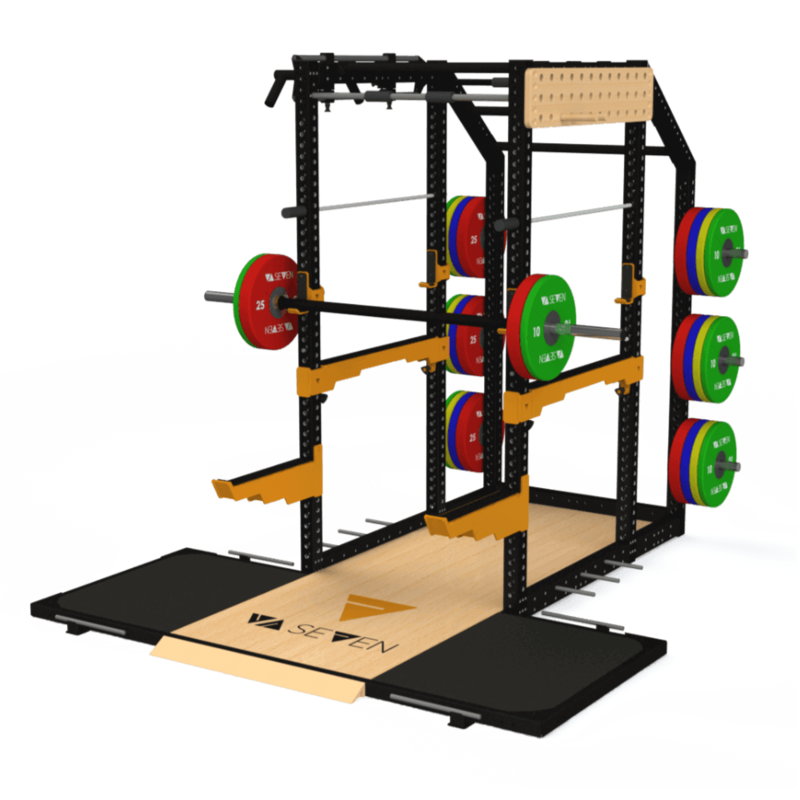 The Power Rack has a footprint of 120 x 120 cm. The Power Cage is the big brother in our MAMBA series and offers in addition to the Power Rack plenty of storage space, i.e. for bumper plates. The Power Cage has a footprint of 180 x 120 cm. 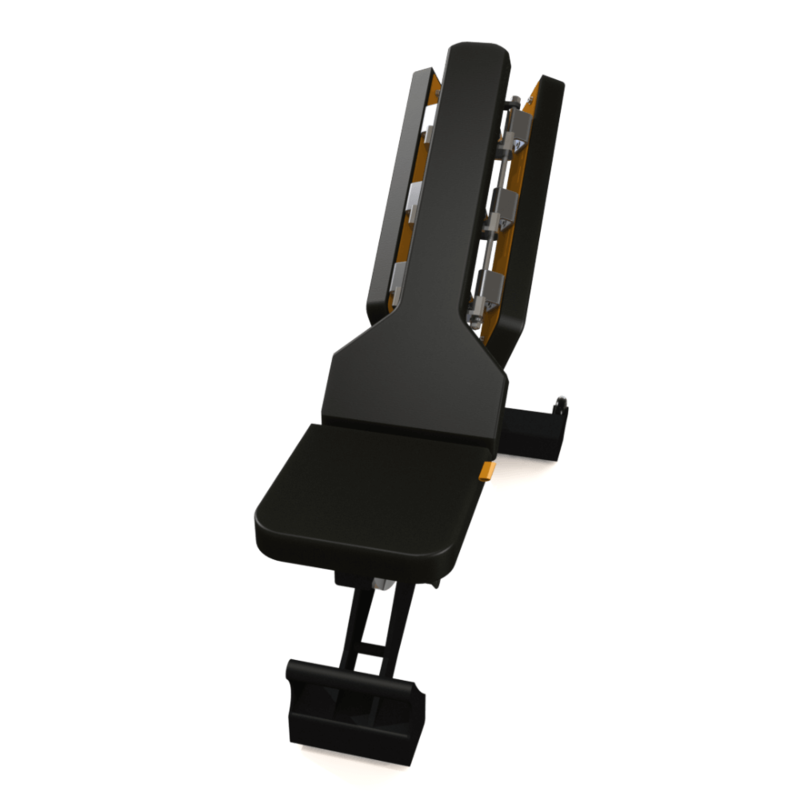 The VA SEVEN® Prime workout benches combine unique functionality, high quality and excellent longevity. The concept is completed by an elegant and robust design. Runner-up at the FIBO 2017 Innovation & Trend Award (Private Visitors). The aim behind the VA SEVEN® SPECIALIST Bars series was the development of the best and most functional bars available today. With more than ten specialist bars the series offers you everything you need for an effective and safe workout. The VA SEVEN® KOMODO Weigth Sled offers an incredible number of functional, full body workouts. 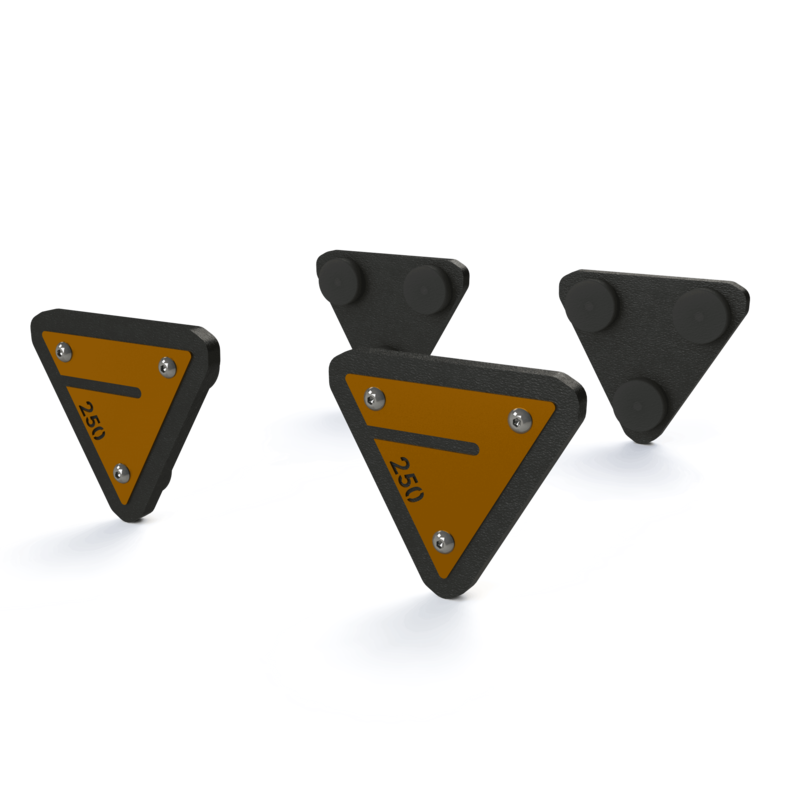 Customize the design and change its functionality by utilizing all the different attachments. Our VA SEVEN® Glute Ham Developer / Hyper Extension Combo from our Vertumnus Series saves space by combining two popular pieces of equipment in one. It’s also versatile and easy to handle. Adjustments are done within just a few seconds. The combo offers great functionality, a clean design and robust quality. Frame, wood, leather and stitching colours can be customized, please ask us about the possible options. PHOENIX Micro Plates are ideal for Micro Loading and are easily attached/ detached to dumbbells via magnets without the need for any extra tools. The Micro Plates are available in the following weights: 250, 500, 750 and 1000 g. Please conatct us for custom colour and logo options. Customers and partners who trust in the quality of our products on a daily basis.